Well I say these are gluten free, but actually I have a bit of a dilemma about that. I have always thought of these as gluten free, but then I discovered that here in Australia oats are not classed as gluten free. This is due to the different proteins within oats/wheat etc. If you want to read more then check out this website. I know that my father, and my friend Sally, who both can’t eat gluten, can safely consume oats. So I have always classed these as gluten free. In Europe and the US they would be, but down under they aren’t. I have written the recipe with a variety of options. So once we get passed the oat issue we move onto the density issue. 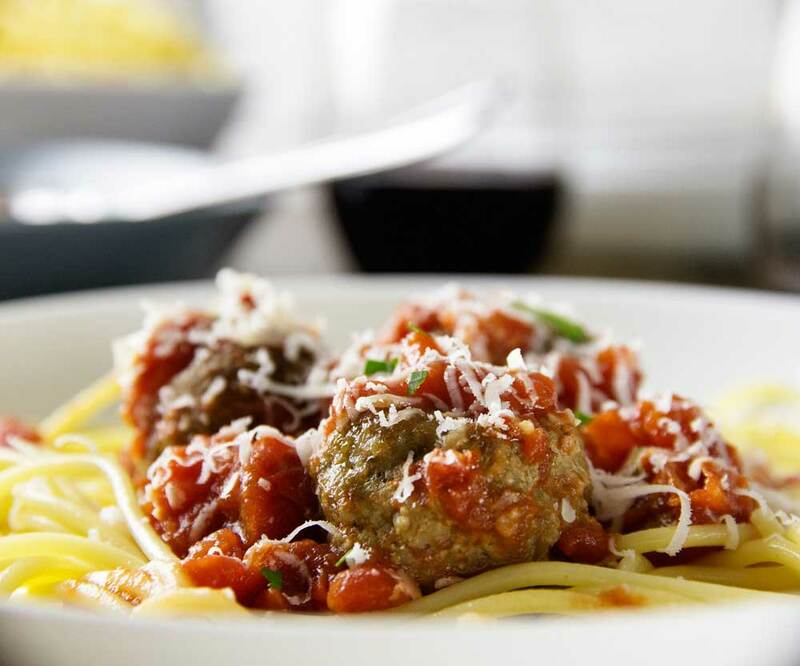 Do you like a light airy meatball or a dense ball of meat? I have mixed opinions. 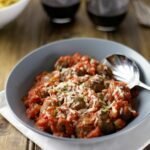 If I am eating the meatballs with a dip as an appetiser or snack, then I like them to be meaty and solid. If you want a meatier meatball then check out my Paleo Pork Patties and my Thai Chicken Meatballs. However if I am serving them with a sauce as part of a meal then I prefer a lighter meatball. Yes I know I am fussy 😉 These bad boys are lighter and perfect for serving with a tomato ragu over pasta. I have included a quick tomato ragu recipe below, but I won’t judge if you use a jar. The key to making these meatballs lighter is the oats, I soak them in milk and egg, which means they swell and make your meatballs fluffier. 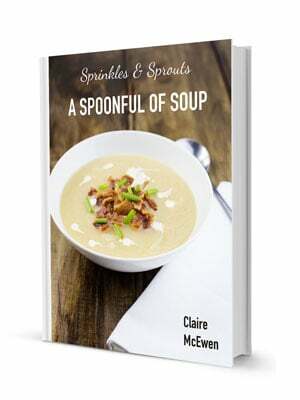 The other tip I have is one I saw on the Nigella Bites TV series. You don’t chop the onions, you create an onion mush. Now I use a food processor to blitz my onion. You could grate it, but I never have much luck grating onions. It is really messy, your hands slip everywhere and then there are the tears. We are talking so many tears!!!! Imagine watching The Notebook, My Girl, P.S I love you and Stepmon (oh and maybe add in Armageddon as well – Although that might be more so you can watch Bruce Willis, Owen Wilson and Ben Afflick together rather than because of the tears!) All those tears make it almost impossible to grate safely. Better to just grab the processor and accept the washing up! My other top tip is to cook these in a non-stick mini muffin tin. This keeps the meatballs nice and round, makes it easy to turn them and stops them all rolling about on the tray. If you don’t have a mini muffin tin then a regular muffin tin will work. Or just place them on a lined baking sheet. Gluten Free Italian Meatballs. 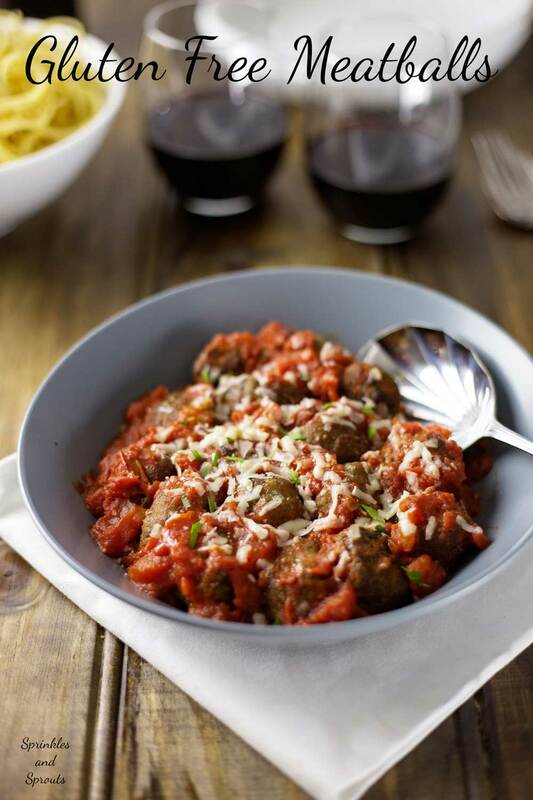 These gluten free meatballs are light and delicious. 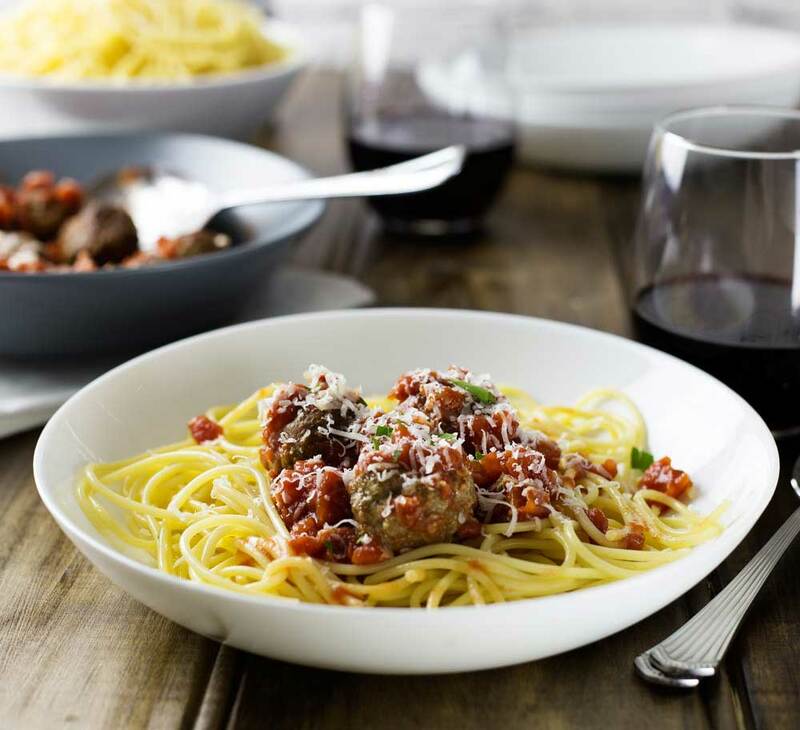 Perfect for serving with a simple ragu. Pre-heat the oven to 200ºC/180ºC fan forced/Gas mark. Break the egg into a large mixing bowl (or the bowl of your stand mixer). Add the milk and then mix gently to combine. Place your starchy element (oats/crackers etc) in the food processor to chop them up. Then empty them into the bowl with the milk and egg. Peel the onion and chop roughly. Put it in the food processor and blitz until you have an onion slush. (alternatively you can grate it- but see my disclaimer above on this one! Add the onion to the oats and milk. Along with the salt, pepper, oregano, parsley and Worcestershire sauce. Leave the mixture sit for 15 minutes. Whilst the mixture is sitting start making the sauce. Add the olive oil to a pan and cook the onion and garlic over a low heat. Add the tomato pulp to the onions. Stir though the balsamic vinegar and mixed herbs. Place the sauce on the lowest heat and leave to simmer very gently. If it starts to dry out, add a splash of the tomato juice. The oats should have rested by now so add the meat and use your hands or the stand mixer (with the paddle) to combine the meat and oats. Scoop about a tablespoon of the mixture out and shape into a ball. Continue until you have no meat left. (You can make these bigger but they will take longer to cook). I use an actual tablespoon measure to portion out the meat, this ensures all the meatballs are the same size and cook uniformly. Place the meatballs into the holes of a mini muffin tin. This helps them keep their shape, stops them rolling about on your tray and makes turning them simple. Cook the meatballs for 10 minutes, then turn the meatballs and cook for a further 10 minutes. Once you have turned the pasta put the spaghetti onto cook, as per the instructions. 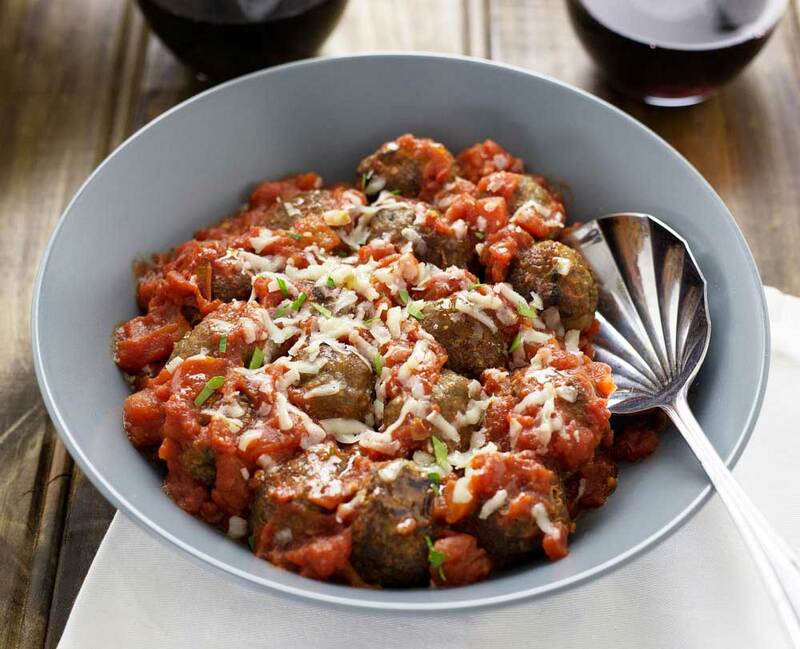 Once the meatballs are cooked, add then to the sauce, sprinkle with parmesan and serve. In Australia oats are not classed as gluten free. Loving these so much, a perfect dinner. Pinning. Onion mush is the best isn’t it! And no lumpy bits means nothing for the kids to find!! I like adding all different vegetable mushes to our meals. It is amazing what I can hide in the boys food that way!!! They both say they don’t like mushrooms, but they will happily eat a bowl of my chicken and mushroom bites. They key is not mentioning the mushrooms!